BulbapediaIn my last article, I failed to provide any insight into things to come with the release of Sun & Moon. Primarily this was because I had yet to find the time to scour over all of the scans and begin brewing new concepts and decklists. When I was younger, I remember getting excited about being able to look at scans so far in advance and begin to plan my conquest of future and unexplored formats, but as I’ve gotten older this is a joy I no longer experience. Perhaps this is because I simply forget to look at scans or maybe some of my pure, unadulterated enjoyment has slipped away with age but now more than ever I find myself saying “What does that do?” when my friends and teammates attempt to discuss new cards with me. I am happy to report that I am now completely familiar with every card in Sun & Moon and I am greatly looking forward to every potential development it might bring in the coming years. It is of course too early tell how much it will shake things up but my general impression is that Sun & Moon is the most impactful set in a long, long time. Over the past several years, I think that Pokémon has done a somewhat lackluster job in promoting new mechanics and better archetypes. Most of the BREAK sets did little to nothing in order change what was popular and for proof of this, I think we need only to look at the results from various Expanded tournaments and see how the same decks have remained at the top of the metagame for many years now. With the small exceptions of Greninja, Trevenant, and perhaps Rainbow Road to a lesser extent, each set mostly just introduced a new and incredibly powerful Trainer card and did not succeed in diversifying the format. Sun & Moon, on the contrary, gives us a brand new mechanic and finally begins to shift us away from giant EX Basic Pokémon. Though some decks are promising now, I think we will likely begin to see the power of many GX Pokémon after our (presumed) rotation at the end of this season. The power creep seems to be winding down somewhat and I think GX Pokémon are a nice balance between EX (mostly too powerful) and BREAK (mostly not powerful enough) Pokémon and I am anticipating many of the underrated cards of the set to find a time to shine sometime in the future. Bulls on Parade: Tauros Hype! So before we jump into the various decks I have prepared so far for Sun & Moon, I briefly want to go over a report of the last League Cup I was able to attend. In my last article, I indicated that I had two Cups left to attend but unfortunately I was unable to attend one of them, leaving me with only one opportunity to try and replace a 15-point finish for the quarter. According to Pokémon.com, my final League Cup was scheduled to be Standard, and after having a poor performance with Turbo Darkrai in the week prior, I wanted to give something else a try. My attention was mostly focused on Volcanion as I believed it to be favored against Darkrai thanks to Salamence-EX, and in general the deck is fast, consistent and hits very hard. I could not find the time during the week to build or test the deck but I set off to Kansas City planning on building a list on the fly before registration closed. Unfortunately, I made a large blunder in packing for this trip and accidentally left my sorted collection at home and so I traveled over three hours away with only the two decks I had played at previous League Cups. This resigned me to playing Turbo Darkrai once against since the other deck was my Expanded Seismitoad/Crobat deck. I was unhappy about playing Turbo Darkrai again but knew the deck was powerful despite my general lack of confidence. Though as fate would have it, I arrived to the event only to find out that the information I had received was incorrect and we would be having a best-of-three Swiss Expanded League Cup. I was considerably relieved to play my Seismitoad deck and so I entered into the competition with the exact 60 cards I played to a 4th place finish earlier in the month and discussed in my last article. As I’m sure many of us are familiar with at this point, your first round is occasionally against a newer player whose deck is little more than a starter deck. In such instances, I try to be as encouraging or helpful as possible as it would be a true shame to scare off a player after their first event. 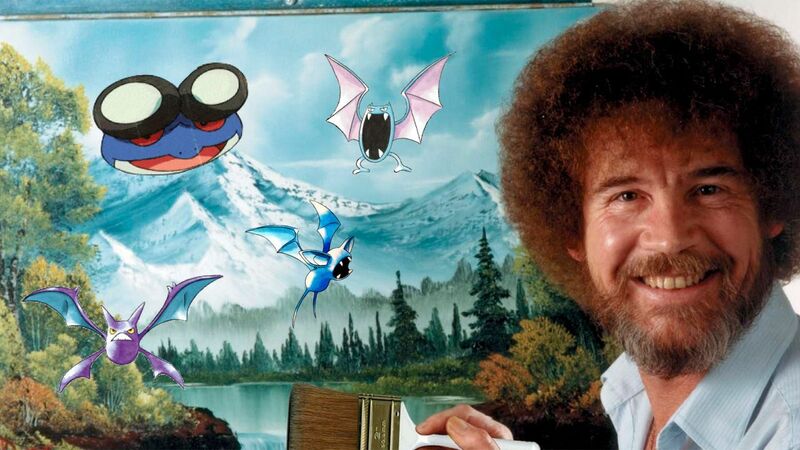 Most of us (certainly including myself) all started off Pokémon in a similar fashion and I would not be writing for all of you today if I was not met with helpful and informative members of the community. Seismitoad is not an acutely “noob friendly” card but unsurprisingly I took two very fast and easy games in this opening round. Press 1 if you enjoy Item lock. I had never experienced this matchup before but I had been told that it was greatly favorable for Seismitoad and after experiencing it for the first time, would say that I greatly agree with such a sentiment. Our first game was a bit nerve-racking as I played my opening turn rather conservatively and ended up getting Delinquent-ed to zero. I was fortunate enough to top-deck a Sycamore with a turn or two after losing my hand and from there, I had no difficulty locking the game up with Quaking Punch. My list opts to play four basic Water Energy, which is mostly uncommon, but I was a fan of it throughout the tournament and against Sableye, it is incredibly useful. The second game saw me prizing one DCE and one Water Energy and struggling to find attachments throughout the game’s entirety and I end up narrowly decking out in a game I probably should have scooped early on. The third and final game went about as well as the first but my opponent was able to use AZ consecutively in order to prevent me from finishing during +3 turns. Though the tie was unfortunate, I was confident I would be able to beat this deck if we met again in top cut. I was somewhat shocked to see this pairing of EX attackers in the Expanded format but I knew it was not to be taken lightly. Even if the combination was a questionable one, Mega Manectric has always proven to be a difficult adversary for Seismitoad-EX decks. The first game went somewhat abysmally for me and though I do not remember the exact details, I have a vague recollection of drawing dead in the mid-game and being outlasted and overrun (literally). The second two games went much better for me and some apparent flaws in my opponent’s list began to be exposed. I was able to find early Quaking Punches in order to prevent Spirit Links from being attached on board and with Manectric eliminated as a threat; I was able to rely on Lugia-EX as a backup attacker. In general, my opponent’s list was just not consistent and without Items, such an issue is only exasperated. My opponent this round seemed somewhat distracted by some drama that had occurred over our lunch break and as a result, he played incredibly inefficiently. I do not think this is knock on his capacity as a player as he ended up taking 3rd place overall but his mind was definitely elsewhere in our game. As a result, I was able to take two simple games where the combination of Item lock and Hypnotoxic Laser poison was more than enough to outlast a big Yveltal-EX with lots of Energy. Going into this matchup, I believed myself to be incredibly favored but in both of our games, my opponent went first and was able to Maxie’s into Archeops. This made most of my deck useless but I was still able to make use of Zubat as a chump blocker and, on multiple occasions, would Sky Return for 30 or 40 damage and force my opponent to KO a non-EX as I made a point of keeping EXs off my board if I was unable to Quaking Punch that turn. In the end, I think I hit most of my Super Scoop Up flips which locked up my victory. This matchup is certainly loseable when you are faced with an early Arcehops but thankfully I had luck on my side today. Guardian of the seas; adversary of frogs. Greninja is the only deck, in my opinion, that is able to keep Seismitoad/Crobat in check in Expanded right now and when I saw that this would be my opponent for the round, I assumed that my tournament would be over shortly. However, my list did choose to run the promo Giratina and Virbank City Gym over Silent Lab in an attempt to swing my matchup against Greninja (and Trevenant) and I was excited to see if it was worth including as this would be my only match over both tournaments against a deck with BREAK cards. The first game was not very close and I had a slow opening to my opponent’s ideal start of a turn two Water Duplicates into all four Frogadier. I conceded within the first five or six turns but was able to devise a strategy after the first game. Instead of trying to use Seismitoad-EX at all in this matchup, I figured my only path to victory would be to go all-in on Lugia-EX and try and use Deep Hurricane as much as possible. Not only does Deep Hurricane achieve easy knockouts on Greninjas (130 with Fighting Fury Belt) but with Sneaky Bites and Skill Dives, even the BREAK could be met with an OHKO. Discarding my opponent’s Silent Lab also proved useful since it would allow me to keep Giratina’s Ability online and I was able to win the next two games in a real nailbiter of a series. I think this matchup is probably still in favor of Greninja but Lugia was able to win it for me in this series. The deck my opponent was playing was super interesting and one that I would love to explore in the future. It was somewhere between Rainbow Road and an Aromatisse Box and featured many tech attackers in addition to 2–3 Xerneas BKT. Off the top of my head, I recall Virizion-EX, Jolteon-EX, Trevenant-EX, 4 Prism Energy, 4 Rainbow Energy, a few basic Fairy, and a few Double Colorless Energy. I knew that my best chance to win this matchup would just to be as aggressive as possible with my Energy removal cards and in both games, I drew into my Enhanced Hammer early on and was able to completely control the game with multiple uses out of both Xerosic and Team Flare Grunt. It has been sometime since I had won a tournament bigger than a League Challenge and while I’ll be the first to admit, this was not the largest or most difficult Cup, winning events never ceases to be somewhat rewarding. I was able to luck into the right metagame when I fully expected to be playing Standard this weekend, and while I know I have likely spent too much time discussing last format, I wanted to use this report of Seismitoad/Crobat to segway into a discussion of the ideal partner for Seismitoad in the Expanded format. Both can spread ping damage, but which one is better? 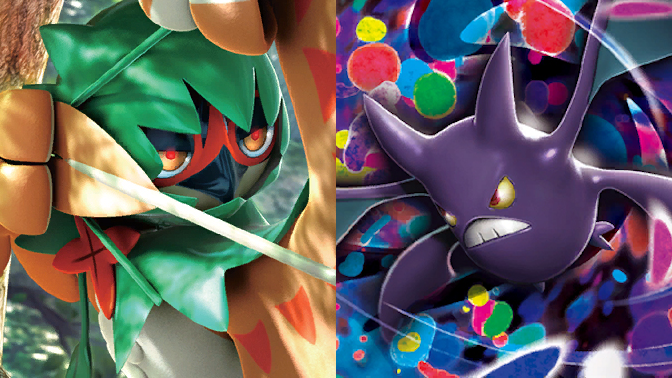 From all the discussions I have been a part of so far, Seismitoad/Decidueye has been by far the most talked about deck. Certainly, it is something worth exploring but at the moment, I am completely uncertain of whether or not it is a better pairing than the traditional Seismitoad/Crobat. Over the past several years, Seismitoad/Crobat has been my favorite deck and I have played it for many City Championships, State Championships and over three Regional Championships so any bias on my part ought to be somewhat clear but at the same time, I would be surprised if I was not in the top percentile in terms of time spent playing the deck so ideally that should give my opinion on this debate some amount of validity and credibility. There is a lot I like about this list and a lot that I do not and I think discussing these can lead us to the general pros and cons of each archetype. I love the combination of Battle Compressor and Revitalizer. I have tested the pairing many times in various Vileplume decks and think it is one of the best ways to create a makeshift search engine and it becomes considerably more useful when you need to make multiple Stage 2 Pokémon. Miltank is a skeptical choice for me and while I would test it out still, I think that I would rather play Lugia and another card over this simple non-EX. The Grass Energy and option to attack with Decidueye ought to make your matchup against Greninja considerably more favorable but this list is incredibly vulnerable to Archeops. It is my understanding that the Japanese format is XY-on, so this list was likely built without any consideration of Archeops (which also explains the lack of a Computer Search in the list) but I think a Hex Maniac would be great inclusion to help evolve against Archeops. Unlike Crobat, you get infinite mileage out of each Rowlet you are able to fully evolve so Archeops ought to be much more manageable, but my biggest complaint is the amount of Retreat Costs that the Owl adds to the deck, and without Super Scoop Up to mitigate this issue, I am left pondering whether or not the Bat option remains superior. Regardless of which version you choose to work with, I think that being prepared for either pairing is paramount if you are preparing for the Collinsville Regionals as I am. I believe that both decks are tier one and while I am currently (ever-so slightly) favored towards Crobat still, I think both can perform well in the not-too-distant future. Do you think there is anything I have looked over in my comparison of these similar archetypes? In my competitive history with Pokémon, one of the greatest pleasures has always been playing your favorite Pokémon in a deck successfully. As a result, I have often relished the opportunity to play Ninetales in my decks and adjusted my list accordingly during the Reshiram/Typhlosion era to fit Ninetales even when it was somewhat unpopular of an option. Tauros has been one of my favorite Pokémon since my time as a child and so I am ecstatic that is has so much hype surrounding it currently. I remember watching the anime as a kid and during the Orange Islands arc, Ash uses his Tauros in his final battle to great success, and since then, I have always been a fan of the multi-tailed bull. 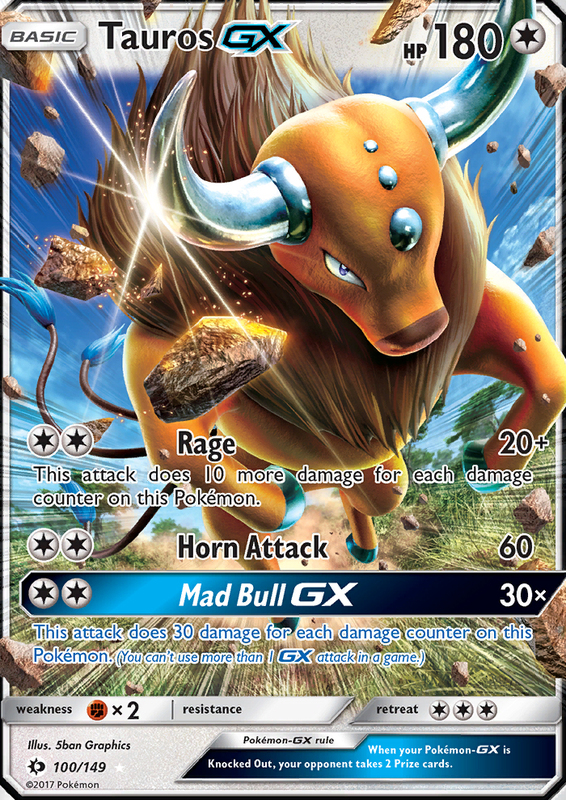 I know many of my fellow writers share the same enthusiasm or excitement about the card and today, I want to share many of the Tauros-centric decks I have been cooking up for Collinsville/St. Louis Regionals. The first deck I want to discuss today is the one I am particularly enamored with at the moment. The concept of this deck was brought to my attention as an option for the Standard format but seeing as I will be unable to attend the Regional Championship in Anaheim, I wanted to see if I could make it work as well as possible for Expanded. I think there is just a ton of options available to a deck like this and while I am constantly fluctuating between different Pokémon and tech options, the general idea is simple. Use Tauros and Pidgeot as Rage-type attackers and try to punish poor plays or calculations from your opponents and continually trade up with your attacks. Ideally, both Pidgeot and Tauros will prove incredibly difficult to KO as it is ill advisable to attack into them without being able to OHKO and the option for Tauros’s GX attack can make swift work of any large threat that is attempting to be built up from the Bench. Pidgeot and Lugia, additionally, offer a “soft” solution to any potential Fighting decks that might arise to try and counter the Tauros hype train. 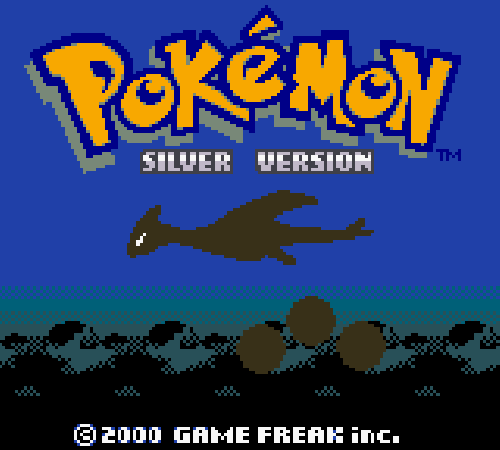 Aside from this, we have back-up attackers like Mewtwo and Lugia to try and clean up in the late game. I think Aspertia City Gym is quite the forgotten card at the moment but the ability to give many of our attackers more HP just seemed like too good of an opportunity to pass up. I am unsure about the Jolteon and realistically, it could be changed to something else but right now, I’ve settled upon it as yet another auxiliary attacker. Maybe the best way to play the deck would be to remove Jolteon and play another Tauros and even more tech Supporters but I have yet to test that and have put a significant amount of time into this incarnation. 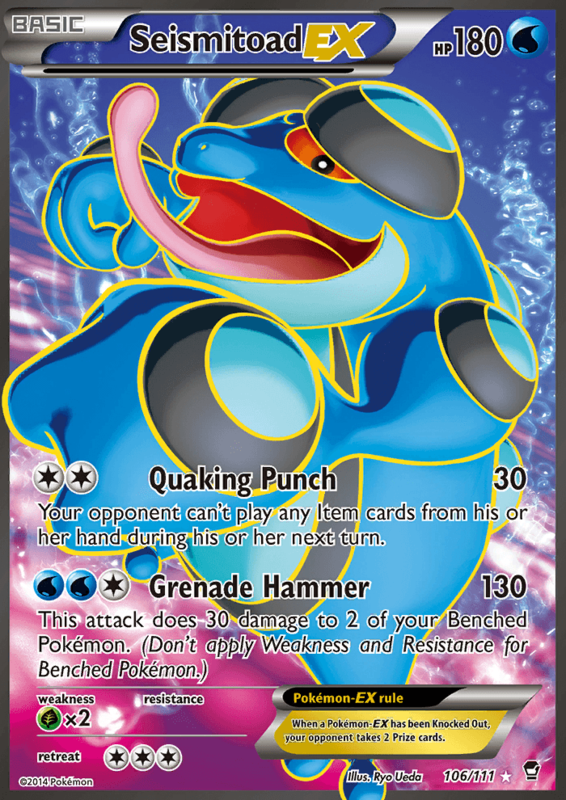 Another possibility could be something as simple as throwing some Seismitoad-EX into the list and also trying to steal some games with Item lock and disruption Supporters. This idea occurred to me as I was writing this article today and so I have yet to test it but currently, I am greatly intrigued by this idea as well. Let me know if you have any ideas for the deck! As far as I can tell, the main opposition to this deck is Fighting Pokémon and as mentioned above, Pidgeot and Lugia are somewhat helpful against such a threat but in general, I do not believe Fighting is well positioned in the current metagame. Passiminian seems like a fun, gimmick deck at best and the Carbink deck seems outdated against most of the new GX Pokémon. This leaves us essentially with only needing to worry about Gallade as a tech from a handful of decks. Mewtwo is an easy answer to this threat and barring the rare chance that multiple Gallades can be Maxie’d out each game, I think that we can keep this card at bay. Night March (and perhaps Flareon/Vespiquen) ought to be somewhat difficult as well which is why I have made an unpopular decision and included Karen as a staple in the deck. This card, admittedly, has been somewhat of a joke since its release towards the beginning of this season, I do truly believe that its potential exists almost entirely in Expanded and not Standard. I believe it has been currently overlooked as an option for many decks and after witnessing decks use it to success against Night March at my Expanded events, I have some faith in the card. The general strategy behind this deck is quite similar to the previous deck and simply puts its faith in taking advantageous knockouts through Tauros’s various Rage options or just vanilla 60 for a DCE. 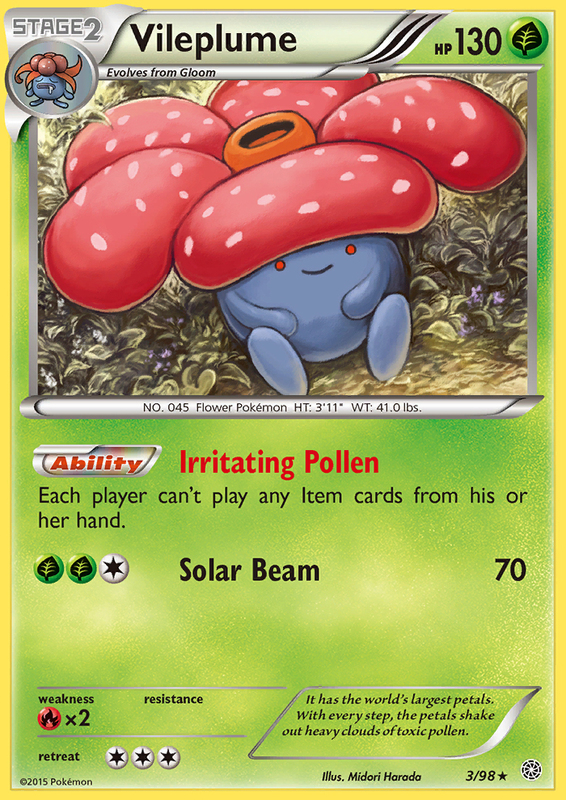 Instead of trying to use Garbodor as our means for disruption, I have opted to try Vileplume out to try and slow other decks down. 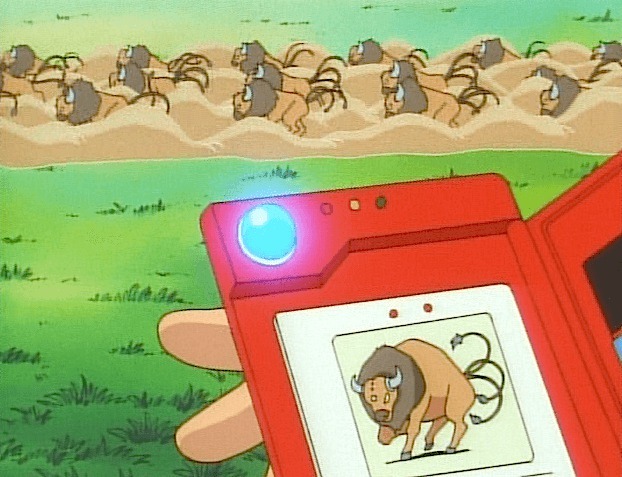 This also gives them little to no ways to get around the stampede of Tauros, which forces them to attack into my Pokémon thus enabling my main attacks. The rest of the deck is built around trying to maximize the turn one Vileplume as effectively as possible. 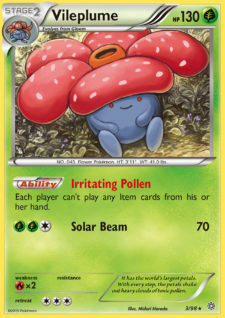 I often see Acro Bikes included into Vileplume lists and frankly I am not a huge fan of the card as your resources are incredibly important and often I find myself having to rely on Bunnelby to get me out of sticky situations. Vileplume decks often have a fair amount of holes in their general strategy but often such apparent weaknesses can just be mitigated by playing properly with our resources and getting the Item lock on the board as quickly as possible. Acro Bike disallows such a strategy and as a result I am a much greater fan of the Battle Compressor + Revitalizer combination. It has been a long time since I have felt this excited about the game and I really do hope that Sun & Moon and its later expansions give a much-needed change to the game. Putting things into perspective, cards like Professor Juniper have been legal since I was in high school (six years ago!) and the fact that our decks still revolve around cards that old is somewhat disenchanting, and while many of my thoughts my prove to be unfounded, I will attempt to remain optimistic. 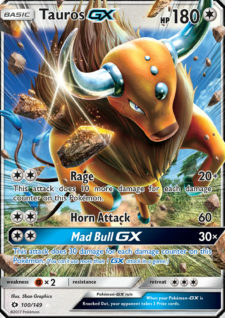 I hope you have enjoyed the piece I have put together today and I hope that it encourages many of you to try new or unorthodox combinations with my new favorite card, Tauros-GX. I will be in attendance at the Collinsville/St. Louis Regional Championship and I hope to see many of you there! Looking forward, I know that I will not be able to attend Portland Regionals (as well as Anaheim) but I am going to do my very best to be at every other Regional this season. My Championship Point total is at 202 which sits below the tops of the leaderboard, but I believe that I am on the right track to achieving an invite to play in the World Championships one more time. Mega Gardevoir, Revisiting on Umbreon/Zoroark, Mega Mewtwo, An Interesting Lurantis Build, and Vespiquen!